The College of Mass Communication organized an activity for development of the professional skills of the academic and administrative members of Al Falah University. Dr. Mohammad Khair Bani Domi delivered a lecture on “Etiquettes and Protocol” where he shed light on the importance of etiquettes and its impact on everyday professional and personal life. 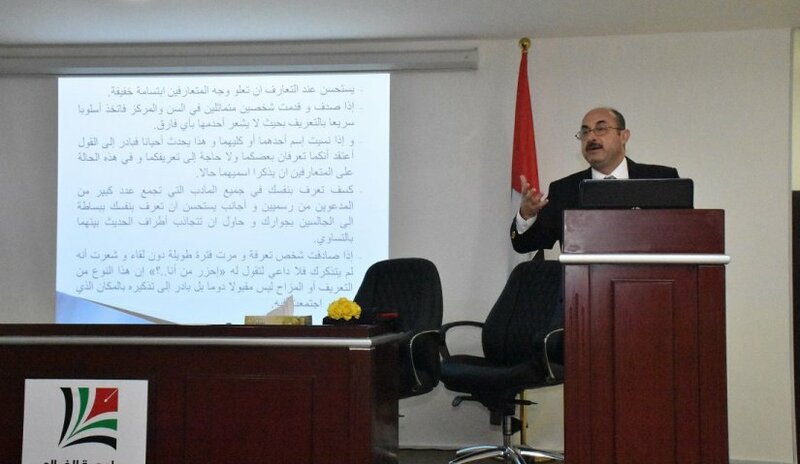 The lecture was attended and appreciated by the Vice President of Academic Affairs, Dr. Sameer Al Barghouti and the academic and administrative staff. The presentation included an in-depth description of various fields of etiquettes and protocol. 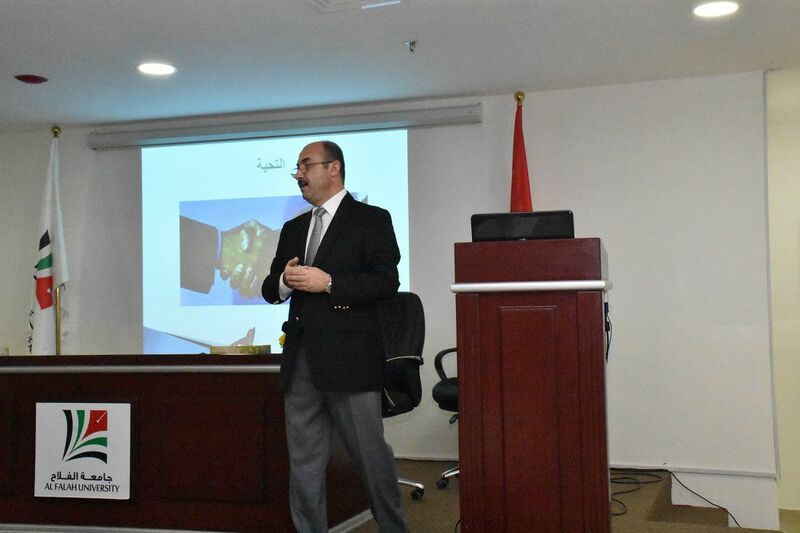 Dr. Bani Domi touched to explain the general principles in etiquette and how workers can adopt these principles in the communication process between colleagues and in their personal lives. He stressed the concept of greeting and the nature of communication with others. The activity aimed at enhancing the skills of the faculty and administrative members in the evolution of their performance within the university in their relationships with students and others. This media activity comes in response to the requirements of CAA Accreditation.